This once-maligned weed's medicinal effects may prove to be paradigm shifting over the next 5 to 10 years as more data are gathered and research completed. With more medical uses, an emphasis on cultivating high CBD cannabis is increasing. Researchersare testing cannabi­noids as a new family of antitumoral agents. Research by Arkaitz Carracedo, Meritxell Gironella, Mar Lorente, et al. is focused on pancreatic adeno­carcinomas. Pancreatic adeno­carcinomas are among the most malignantforms of cancer. It is of special interest to researchers to set new strategies aimed at improving the prognosis of this deadly disease. 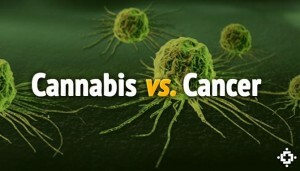 This study indicates that cannabinoid receptors are expressed in human pancreatic tumor cell lines and tumor biopsies at much higher levels than in normal pancreatic tissue.13 Studies conducted with MiaPaCa2 and Panc1 cell lines showed that cannabinoid administration (a) induced apoptosis, (b) increased ceramide levels, and (c) upregulated mRNA levels of the stress protein p8. These effects were prevented by blockade of the CB2 cannabinoid receptor or by pharmacologic inhibition of ceramide synthesis de novo. Findings indicate that cannabinoids induce apoptosis of pancreatic tumor cell lines in vitro and exert a remarkable growth-inhibiting effect in models of pancreatic cancer in vivo. The stress-regulated protein p8 is involved in THC-induced apoptosis of pancreatic tumor cells. Cannabinoids induce apoptosis of pancreatic tumor cells via endoplasmic reticulum stress-related genes. Laboratory analysis, along with ongoing research taking place around the world, is helping us to better understand medical cannabis and the therapeutic effects of the various chemical compounds in cannabis. Understanding medicinal cannabis begins with the examination of the chemical compounds, in particular cannabinoids and terpenoids. The available chemical compounds change with how the plant is processed and administered. Potential therapeutic benefits will vary if the cannabis is processed/administered in raw (unheated), heated, or aged (degraded) form. Results also alter with the presence or absence of cannabinoid combinations. The diverse compounds in cannabis appear to modulate each other in synergistic or antagonistic ways. The California-based cannabis collective Elemental Wellness cites that the cannabinoid CBD lessens to some degree the psychotropic effects of the cannabinoid THC; however, the terpinoid a-pinene synergizes the bronchodilator effects of THC. The complexity of these chemical interactions means that medical cannabis would be best viewed as an herbal medicine, with sensitive interactions modifying the therapeutic effects as well as potential side effects. Beyond preparation and compounding considerations are the many varieties of cannabis, which includes a broad scope of variance in chemical composition. The situation is indeed challenging from the perspective of standardizing treatment. In response to the mounting evidence and constant flow of scientific and antidotal reports, Steep Hill Halent Labs are systematically testing and publishing current information with Elemental Wellness. The collective offers educational material to its members, staff, and community physicians with the goal of educating those seeking objective input with latest scientific concepts and understanding of medical cannabis so that we may better benefit from its diverse medicinal properties. Their findings are published at www.steephillhalent.com/resources. Patients have been known to use raw cannabis as an ingredient in juices and smoothies. Unlike cooked cannabis products, raw cannabis does not appear to activate the THC compound, allowing for medicinal properties to be isolated without any psychoactive effects. There is an emerging groundswell of patient self-care filling the gap between doctors' ability to prescribe, lagging legal formulas, politics, and patients' needs. Cannabidiol can be used along with traditional cancer care in the treatment of side effects brought on by chemotherapy and radiation. Both THC and CBD have antinausea, neuroprotective, antianxiety, anti-inflammatory, and antiproliferative effects.16 These characteristics may play an important role in helping patients endure some of the hardships faced during treatment. Cannabis is now being referred to as a "pharmaceutical treasure trove." Active practitioners are using science to inform and instruct for the optimal utilization. Efficient and effective treatment is the underlying motivation in bringing this ancient herbal medicine into treatment modalities that reduce suffering, indicate curative properties, and can be safely combined with other therapies. Here are some of the pharmaceutical cancer treatment applications that contain cannabinoids or their extracts approved or in the approval process today. Source: "Medical Marijuana aka Sativex Now Available in UK." examiner.com. June 19, 2010. Cannabis-related properties:Mouth spray whose chemical compound is derived from natural extracts of the cannabis plant. Sativex contains two cannabinoids: THC (delta-9-tetrahydrocannabinol) and CBD (cannabidiol). Suggested medical use: Treatment of neuropathic pain and spasticity in patients with multiple sclerosis (MS); analgesic treatment in adult patients with advanced cancer who experience moderate to severe pain. Approved and launched in the UK on June 21, 2010, making it the first cannabis-based prescription medicine in the world (rescheduled from UK Schedule 1 to Schedule 4 on Apr. 10, 2013). Licensed to Bayer in the UK and to Almirall in Europe. Approved to treat spasticity caused by multiple sclerosis in Spain (July 28, 2010), Canada (August 31, 2010), Czech Republic (April 15, 2011), Denmark (June 8, 2011), Germany (July 4, 2011), Sweden (December 22, 2011), Austria (February 7, 2012), Italy (May 7, 2013), and Switzerland (November 27, 2013). Also approved in Finland, Israel, Norway, and Poland. In the US, phase III clinical trials started in late 2006 for treatment of pain in cancer patients and were in recruitment in 2013. On April 20, 2011, a US patent was granted for Sativex in cancer pain. As of April 28, 2014, Sativex was still in phase III clinical development to treat pain in cancer patients, and the company expects to see results from the program at the end of 2014. On April 28, 2014, the FDA granted "Fast Track" designation to Sativex for the treatment of pain in patients with advanced cancer. The FDA website says, "Fast track is a process designed to facilitate the development, and expedite the review of drugs to treat serious conditions and fill an unmet medical need." GW Pharmaceuticals worked with US licensing partner Otsuka Pharmaceutical to open a Phase III Investigational New Drug application in the US to treat spasticity due to multiple sclerosis on August 14, 2013. The US phase III trial was expected to begin in the second half of 2014. Marinol:Source: "Cannabis, Coca, & Poppy: Nature's Addictive Plants," deamuseum.org (accessed Nov. 12, 2013). Suggested medical use:Treatment of nausea and vomiting for patients in cancer treatment; appetite stimulant for AIDS patients; analgesic to ease neuropathic pain in multiple sclerosis patients. FDA approved in US as Schedule I drug for appetite stimulation (1992) and for nausea (1985); moved to Schedule III effective July 2, 1999. Cannabis-related properties:Synthetic cannabinoid similar to THC. Suggested medical use:Treatment of nausea and vomiting in patients undergoing cancer treatment. Originally approved by the FDA for use in the US in 1985, but removed from the market until reapproved by the FDA on May 15, 2006, and made available in US pharmacies on August 17, 2006. Also approved in UK and Australia (1982), Canada (1981), and Mexico (2007). On May 15, 2006, the FDA approved safety labeling revisions for nabilone (Cesamet 1-mg capsules) to advise of warnings and precautions related to its use, such as its potential to affect the mental state of a patient. On February 22, 2007, Valeant announced the submission of an Investigational New Drug application to test Cesamet as a treatment for chemotherapy-induced neuropathic pain. Cannabis-related properties:Synthetic nonpsychotropic cannabinoid that blocks NMDA receptors and COX-2 cytokines and chemokines. Suggested medical use: Neuro­protective (protects brain from damage) for use after cardiac surgery; regain memory and other high-level function following traumatic brain injury (TBI); possible future use as an anticancer drug. Not approved for use as of November 11, 2013. The phase III clinical trial involving 846 patients was completed in December 2004; Pharmos said that the drug failed to show statistically significant improvement in the late-stage clinical trial; a phase I study to test for the treatment of brain cancer began in September 2012. When dealing with patients with cancer or any life-threatening diagnosis, we must always work with our colleagues in traditional and conventional medicine. When treating cancer patients it is strongly advised that they all have a fellowship-trained oncologist on their medical team. All patients need to be advised through written consent that any integrative, complementary, or alternative approaches that they chose to pursue may not be the standard of care as recognized by the AMA or the FDA. All patients should be advised of all the traditional treatments available to them and be referred to the appropriate specialists as needed and requested. Transparency of care is extremely important when practicing integrative or functional oncology. Documentation must be detailed and should include rationale for care and reasoning for implementing integrative therapies (e.g., patient's refusal of traditional care). All health-care practitioners are encouraged work openly and collaborate with the whole care team. Medicinal use of cannabis is not usually a stand-alone treatment plan. In my experience it can be successfully utilized as part of a comprehensive care program for any patient who may benefit from its wide range of attributes. This underscores the significance of CBD based formulas, which reduce the THC and psychoactive qualities and expand potential applications for cannabinoid-based treatment options. This is a case in which science and society are coming together to drive change. It is only a matter of time before cannabinoid pharmacology research and development will create a structured system for exacting cannabinoid dosage and delivery methods. Expect measured, quantified dosages of pharmaceutical formulas containing marijuana chemical extractions within the decade. Both the pharmaceutical and tobacco industries have been eyeing medicinal and recreational marijuana for quite some time. As the political and social climate around marijuana evolves, we should expect to see both of these groups start to participate more in the development and manufacture of marijuana-based products. Meanwhile, there is ample opportunity to contribute to research and witness a new course of medicines being refined with testing analysis being compiled and released for public consumption. The number of firsthand testimonials for cancer treatment resulting in remission, supporting chemotherapy and pain and symptom management is mounting. These accounts mesh with scientific data to make a powerful case for future research and clinical applications. Steep Hill Halent Labs has conducted comprehensive research. See published reports and the 14-page document that it produced in partnership with Elemental Wellness, Understanding Medical Cannabis, at steephilllab.com/resources. Additional information can be found at icurecancer.com. 1. Drug Enforcement Administration. Drug fact sheet: marijuana [online document]. www.justice.gov/dea/druginfo/drug_data_sheets/Marijuana.pdf. 2. 21 legal medical marijuana states and DC [Web page]. ProCon.org. medicalmarijuana.procon.org/view.resource.php?resourceID=000881. 3. Kuen BM. JAMA scopes out Colorado [online article]. O'Shaughnessy's online. May 14, 2014.www.beyondthc.com/jama-scopes-out-colorado. 4. State marijuana laws map [Web page]. Governing.com. April 14, 2014. www.governing.com/gov-data/state-marijuana-laws-map-medical-recreational.html. 5. Gupta S. Weed 2. CNN. March 11, 2014. Trailer at www.cnn.com/SPECIALS/health/medical-marijuana. 6. GW Pharmaceuticals. Cannabinoids and cannabis-based medicines [Web page]. www.gwpharm.com/faqs.aspx. 7. Understanding medical cannabis [online document]. Elemental Wellness Center. August 2013. elementalwellnesscenter.com/UnderstandingCannabis.pdf. 8. CBD rich medicine [Web page]. Harborside Health Center. www.harborsidehealthcenter.com/CBD-rich-medicine.html. 9. Frisher M, White S, Varbiro G, et al. The role of cannabis and cannabinoids in diabetes. Br J Diabetes Vasc Dis. 2010; 10(6)267–273. Available at www.medscape.com/viewarticle/738863_3. 10. Campos AC, Moreira, Gomes FV, Del Bel EA, Guimarães FS. Multiple mechanisms involved in the large-spectrum therapeutic potential of cannabidiol in psychiatric disorders. Philos Trans R Soc Lond B Biol Sci. 2012 Dec 5;367(1607):3364–3678. www.ncbi.nlm.nih.gov/pmc/articles/PMC3481531. 11. Maa E, Gedde M. Next generation sequencing and Dravet's syndrome [Web page]. www.medicinalgenomics.com/dravets. 12. Sancho R, de la Vega L, Macho A, Appendino G, Marzo VD, Muñoz E. Mechanisms of HIV-1 inhibition by the lipid mediator N-arachidonoyldopamine. J Immunol. 2005;175:3990–3999. Available at mycbdresearch.com/mechanisms-of-hiv-1-inhibition-by-the-lipid-mediator-narachidonoyldopamine. 13. Sarfaraz S, Adhami VM, Syed DN, Afaq F, Mukhtar M. Cancer treatment: progress and promise. Cancer Res. January 15, 2008;68;339 Philos Trans R Soc Lond B Biol Sci. 2012 Dec 5;367(1607):3364-78.. Available at cancerres.aacrjournals.org/content/68/2/339.full?sid=3491ce05-d9ce-488b-8da1-abdca15ccc3c. 14. Simpson R. Run from the Cure. Film. December 6, 2009. Available at https://www.youtube.com/watch?v=0psJhQHk_GI. 16. Cohen J. Cannabidiol or CBD [Web page]. Holos Health. www.holoshealth.org/Cannabidiol__CBD_.html. 17. Understanding medical cannabis. Op cit. 20. Cannabis-based medicines–GW pharmaceuticals: high CBD, high THC, medicinal cannabis. Drugs R D. 2003;4(5):306–309. www.ncbi.nlm.nih.gov/pubmed/12952500. 22. Huestis MA. Human cannabinoid pharmacokinetics. Chem Biodivers. Aug 2007;4(8):1770–1804. www.ncbi.nlm.nih.gov/pmc/articles/PMC2689518. 23. Sexton M, Ziskind J. Sampling cannabis for analytical purposes[online document]. Botec Analysis Corp. November 15, 2013. liq.wa.gov/publications/Marijuana/BOTEC%20reports/1e-Sampling-Lots-Final.pdf. 24. 10 pharmaceutical drugs based on cannabis [Web page]. ProCon.org. 2014. medicalmarijuana.procon.org/view.resource.php?resourceID=000883. 25. Questions and answers about cannabis [Web page]. National Cancer Institute. March 25, 2014 www.cancer.gov/cancertopics/pdq/cam/cannabis/patient/page2. 26. Multiple Sclerosis [Web page]. NORML. norml.org/library/item/multiple-sclerosis. 27. Woodruff K. Preventing polypharmacy in older adults. Am Nurse Today. October 2010;5(10). Available at www.americannursetoday.com/article.aspx?id=7132&fid=6852. 28. Russo EB. Cannabis and Cannabinoids: Pharmacology, Toxicology, and Therapeutic Potential. September 5, 2013.Available at books.google.com/books/about/Cannabis_and_Cannabinoids.html?id=XfW3AAAAQBAJ. Sean Devlin, DO, HMD, is a board-certified family physician and board eligible in emergency medicine. Dr. Devlin is board certified and fellowship trained in anti-aging and regenerative medicine and fellowship trained in integrative cancer therapeutics. He holds a master's degree in biochemistry and has pursued doctoral studies in pharmacology with an emphasis on the evaluation of novel antineoplastic agents. Dr. Devlin has been practicing integrative oncology for the past 10 years and is a certified instructor of IPTLD and sits on the advisory board of the IPTLD foundation. He has traveled extensively working with cancer physicians and researchers internationally in an effort to better understand cancer and its treatment. Dr. Devlin currently teaches for and works with the AAAAM Integrative Cancer Therapeutics fellowship and master's-degree program through the University of South Florida. He is a frequent speaker and guest lecturer throughout the US and currently serves on the medical advisory board for the Best Answer For Cancer Foundation. Dr. Devlin and his team also provide onsite training services for physicians, medical staff, and front office staff, and he works with a variety of integrative-oncology and specialty medicine groups around the country as a consultant. He has been fellowship trained in neuromuscular medicine and has spent many years working with patients suffering from chronic pain conditions. He has focused on rehabilitating patients and getting patients transitioned off of narcotics and other controlled substances.Dr. Devlin is licensed in Nevada, California, and Colorado. He is the medical director of Highland Springs Wellness Center in Grass Valley, California, and is a consultant at Sierra Integrative Medical Center, Reno, Nevada.